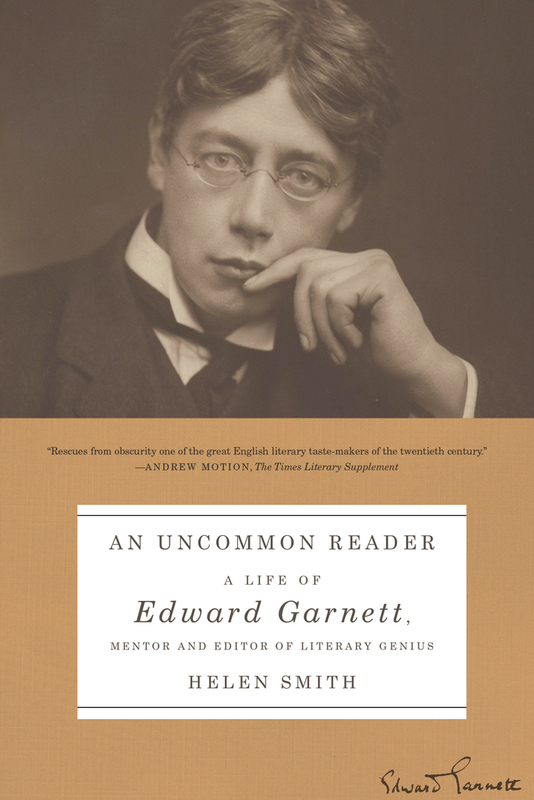 During the course of a career spanning half a century, Edward Garnett—editor, critic, and reader for hire—would become one of the most influential men in twentieth-century English literature. Known for his incisive criticism and unwavering conviction in matters of taste, Garnett was responsible for identifying and nurturing the talents of a generation of the greatest writers in the English language, from Joseph Conrad to John Galsworthy, Henry Green to Edward Thomas, T. E. Lawrence to D. H. Lawrence. In An Uncommon Reader, Helen Smith brings to life Garnett’s intimate and at times stormy relationships with those writers. (“I have always suffered a little from a sense of injustice at your hands,” Galsworthy complained in a letter.) All turned to Garnett for advice and guidance at critical moments in their careers, and their letters and diaries—in which Garnett often features as a feared but deeply admired protagonist—tell us not only about their creative processes, but also about their hopes and fears. Beyond his connections to some of the greatest minds in literary history, we also come to know Edward as the husband of Constance Garnett—the prolific translator responsible for introducingTolstoy, Dostoevsky, and Chekhov to an English language readership—and as the father of David “Bunny” Garnett, who would make a name for himself as a writer and publisher. “Mr. Edward Garnett occupies a unique position in the literary history of our age,” E. M. Forster wrote. “He has done more than any living writer to discover and encourage the genius of other writers, and he has done it without any desire for personal prestige.” An absorbing and masterfully researched portrait of a man who was a defining influence on the modern literary landscape, An Uncommon Reader asks us to consider the multifaceted meaning of literary genius. Helen Smith is British writer and scholar. She earned her PhD in literature from the University of East Anglia, where she is a lecturer in modern literature and the director of the master’s program in biography and creative nonfiction. She has won the Biographers’ Club Prize and the RSL Jerwood Award for Non-Fiction, and lives in South Norfolk with her husband. The Uncommon Reader is her first book.